As he entered into 50th year of his career last week, legendary singer S P Balasubrahmanyam says he regretted not watching his kids grow up due to his busy schedules. Balasubrahmanyam, who has given innumerable hits in 15 languages including Telugu, Tamil, Malayalam, Hindi, Kannada among others, terms his journey as "amazing". "It is amazing. I don't know how I lasted so long. I am not a trained singer. At this age, I am getting work and I am able to deliver," Balasubrahmanyam told PTI. The 69-year-old singer, who got his first break in 1966 Telugu film "Sri Sri Sri Maryaada Raamanna", counts Telugu movie "Sankarabharanam" and 1981 hit "Ek Duje Ke Liye" as films that were turning points of his career. "I feel every day is a turning point because my passion and my sincere approach towards my work and my dedication kept me going. "If I have to report (for recording of songs) at 5 o'clock, I rush come what may. I prepare myself. I never go to microphone until I am sure of it. Whether small or big directors, I will do justice," he said. 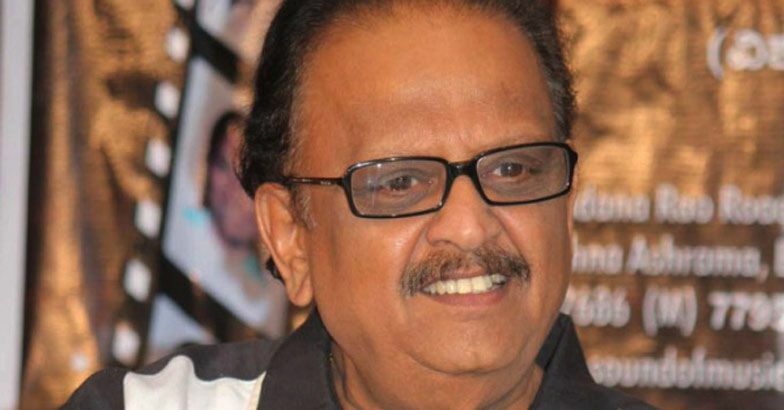 Having successfully sung for five decades now, Balasubrahmanyam has quite a few regrets in life which includes not learning classical music and completing his engineering degree. He, however, felt now knowing classical music came as "blessing in disguise" and says had he learnt it, he would have not sung light music (songs) well. "I missed watching my children grow up. I dedicated all my 49 years (to singing). On an average, I am working 11 hours every day. I missed my children growing," he said. Balasubrahmanyam counts Mohammed Rafi as his 'all time favourite' singer and says he has learnt from the late legendary singer more than anyone else. The Padma Bhushan awardee, who has the credit of recording nearly 40,000 songs, said he would stop singing the day feels he is not able to do justice with his songs. "I don't want to just hang around. If I feel that my physical and mental strength is not capable of doing justice to singing, the best way is to hang up my boots." When asked if there is still a pinnacle he wants to conquer, he said he is happy as long as he can sing properly. "I don't have any more ambitions... To do this thing or that thing. I am an actor, I am a dubbing artist and I have got, without my asking, lot of challenging opportunities." On what life has taught him, Balasubrahmanyam said, "Be simple. Don't make things complicated and everything falls in the right groove if you deserve it."